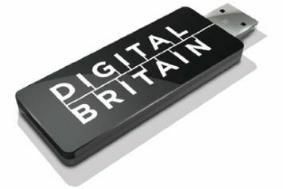 DIGITAL BRITAIN: Final report announced by culture secretary Ben Bradshaw | What Hi-Fi? This can be delivered through upgrades to the existing copper and wireless networks. We also propose public support for the network of tomorrow so that consumers in the Final Third who will not be reached by the market can enjoy next generation broadband. DSL, fibre to the street cabinet, wireless and possibly satellite infill. Maintaining a highly competitive mobile market. Ensure that each of the five existing operators and potential new entrants can bid for sufficient spectrum to build out a next generation mobile network capable of broadband speeds of 50Mbps in the main urban and suburban markets going, down to perhaps 4-5Mbps in the more rural areas. The Government proposes to make the existing operators' 3G licences indefinite rather than term licences in order to provide certainty for investment and an incentive towards greater roll-out towards universality. Government enforces its belief that piracy of intellectual property for profit is theft and will be pursued as such through the criminal law. The Government believes that most people, given a reasonable choice would much prefer not o do wrong or break the law. Aim to provide a framework that encourages the growth of legal markets for downloading that are inexpensive, convenient and easily accessible for consumers. The Government intends to provide initially for Ofcom to have a duty to secure a significant reduction in unlawful file sharing by imposing two specific obligations: notification of unlawful activity and, for repeat-infringers, a court-based process of identity release and civil action. The Government is also providing for intermediate technical measures by ISPs, such as bandwidth reduction or protocol blocking, if the two main obligations have been reasonably tried but shown not to have worked within a reasonable but also reasonably brisk period. As part of the Government's desire to encourage inexpensive but legal consumer access to digital content, we will also make some changes to the legislative framework around copyright licensing, to tackle problems such as those surrounding the use of so-called orphan works and thus help digital markets in those works to develop.